One thought: How much pressure does the signing Thursday of 31-year-old former Swedish international midfielder Stefan Ishizaki heap on under-performing Galaxy midfielder Robbie Rogers? Galaxy coach Bruce Arena called Ishizaki an “exceptional passer,” which is what he has been demanding — and not getting –from Rogers to help unlock opposing back lines. Also, today the Galaxy announced it has moved the scheduled home game against D.C. United on March 15 to Wednesday, Aug. 27 to a give the team more time to prepare for its CONCACAF Champions League games against Club Tijuana. Finally, Clint Mathis has joined former Galaxy coach Frank Yallop at the Chicago Fire as an assistant coach. Mathis had served as supervisor of the Galaxy’s camps and clinics. This is U.S. national team coach Jurgen Klinsmann flying in a Torrance-made Robinson Helicopter over the South Bay and metropolitan Los Angeles. Klinsmann talks about how he likes to fly low in the video: wonder if he is aware of the controversy raging in Southern California over helicopter noise? Keep it down up there, Jurgen! Saturday’s coverage includes the team’s arrival in the stadium before the 2 p.m. game, Klinsmann’s post-game press conference and player interviews. The Galaxy, traditionally a leader among MLS clubs notched another first today, as widely expected, — they have become the first team to own and operate a minor league team in USL Pro, the top tier of the nation’s minor league soccer pyramid. LA Galaxy II, as the club will be known, will field the club’s reserve team, which will be coached by Curt Onalfo, a move the club is characterizing as a promotion for the assistant Galaxy coach. The club will play all its 14 home games at StubHub Center; the 28-game season schedule is set for release next week. Admission is free to season ticket holders. Single game tickets go on sale Feb. 18; $72 season tickets are also available. As usual, playing personnel include a mix of first-teamers, academy players and others. USL Pro affiliates will replace the MLS reserve league. MLS teams will either field a second team in USL Pro or affiliate with an existing USL Pro franchise by 2015. Ten USL Pro teams have already entered into MLS affiliation agreements. The addition of LA Galaxy II creates a 14-team league for USL Pro in 2014. The USL Pro season schedule was released. Here’s the Galaxy II’s season schedule. Every game this season for the entire league will be televised free on YouTube. MLS beat writer Phil Collin was there and filed this report. 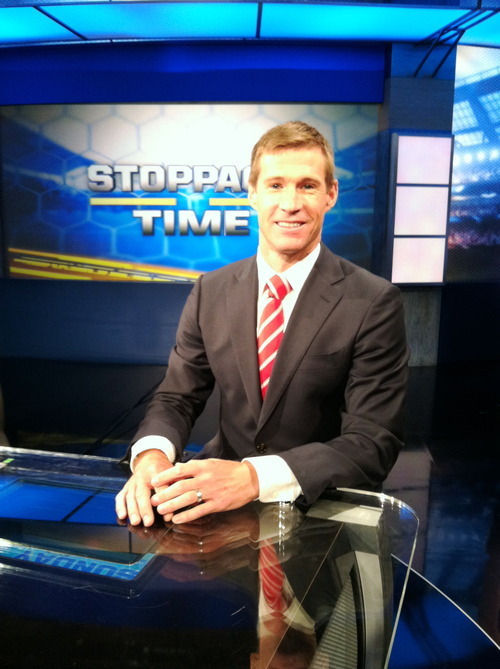 Fox Sports soccer analyst Brian McBride breaks down what he expects to see from the U.S. team in its 2014 opener Saturday in Carson against South Korea in this week’s column. U.S. coach Jurgen Klinsmann has more on the annual January camp here. New Chivas USA coach Wilmer Cabrera and the club’s offseason acquisitions will be formally introduced to Southern California at a Tuesday press conference in Carson. Newcomers include 21-year-old defender Donald Toia, who joined Chivas USA Monday from USL Pro outfit Phoenix FC and became the club’s fourth new defensive acquisition. He also made a handful of appearances with Real Salt Lake’s reserve team. Earlier in the day Chivas announced defender Fejiro Okiomah, 23, had joined the club from USL Pro club the Charlotte Eagles. Last Thursday the club said academy defender Andrew Ribeiro, 23, had signed a pro contract. He was drafted last year by Red Bull New York out of Creighton, but opted to join USL Pro team Harrisburg City Islanders. Can’t keep track of the comings and goings at the struggling club? Here’s a cheat sheet. How many names do you recognize? 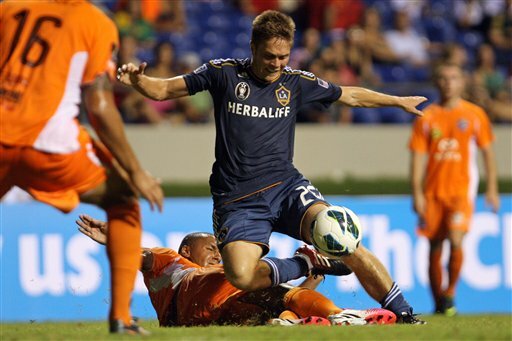 Galaxy reserve midfielder Michael Stephens is no longer with the club (AP file photo). Using the word announcement is a bit of an exaggeration. The club dispensed with the news at the tail end of a press release Friday in an almost offhand manner that also noted 23 of the 31 players on the roster last year were returning. Most of those that departed were bit players aside from former defensive starter Sean Franklin (picked up by D.C. United in the waiver draft) and young striker Jose Villarreal (on a season-long loan at Cruz Azul). Few fans will miss sparingly used players like Colin Clark, Laurent Courtois, Hector Jimenez or Pablo Mastroeni whose club exits had all been previously announced. But Cudicini and Stephens were (at one point) more integral pieces of the playing staff who managed to play themselves out of favor in a season that ended with a quiet whimper. And their status wasn’t known (for sure) until last Friday. Cudicini was dropped by coach Bruce Arena abruptly in mid-season after making several high profile errors and was replaced by Panamanian national team netminder Jaime Penado. The former EPL goalkeeper never saw action for the club again. Stephens was mostly used to kill off games by Arena, usually coming off the bench late in games. Not considered much of a game-changer, his entrance usually indicated Arena wanted to maintain the status quo. But Stephens made 94 regular season MLS games for the club over four years. Both, it appears, have paid the price for their unconvincing performances. At least four new players are in camp: journeyman Canadian forward Rob Friend, who signed from German club 1860 Munich and has spent most of his career in Europe; Brazilian forward Samuel, who is on a year-long loan from Fluminense; midfielder Baggio Husidic, a former Chicago Fire player giving MLS another try after a stint in Sweden; and draft pick Kyle Venter, a defender out of New Mexico. In addition to previously announced preseason games against Armenian club FC Shirak Feb. 8 in Carson and the San Jose Earthquakes Feb. 15 in Fresno, the Galaxy will also take on Mexican outfit Pumas UNAM Feb. 11 in a closed door scrimmage in Mexico City. The Galaxy open their MLS season March 8 against Real Salt Lake in Carson. Former Galaxy midfielder David Beckham may be retired from the soccer field, but he’s still modeling what H&M refers to as “bodyware” in a new spot that will air Sunday during the Super Bowl. Fans are being asked to vote on what version of the stunt-laden ad (and, yes, I’m told that no body doubles were used) will air. Voting began today here and ends at at midnight Saturday. Took advantage of the long weekend to take a few days off, so let’s play a little MLS draft catch-up. Chivas USA goalkeeper Dan Kennedy must have put in a good word for former UCSB teammate pick-up Tony Lochhead, 32, a New Zealand international who plays left back and was picked up today by the struggling MLS team from A-League club Wellington Phoenix. .Lochhead was drafted in 2005 by the New England Revolution, but returned home in 2007 after making 16 appearances for the club. He has made 43 appearances for his national team and is expected to play in this summer’s World Cup. Chivas USA also made two more additions in the final two rounds of the MLS SuperDraft Tuesday, selecting Houston Baptist University forward Kristopher Tyrpak with the 40th pick and Georgia State University defender Michael Nwiloh 59th. The latter is a 6-3 center back, the sort of commanding defender Chivas USA needed more of last season. The Galaxy, which last week had traded away its first round draft pick, passed on its 72nd overall pick — the only MLS club to do so — which tells you everything you need to know about how coach Bruce Arena regarded the talent pool in this year’s draft. The 32 players selected in the final two rounds included UCLA forward Victor Chavez, selected 71st by the Portland Timbers right before the Galaxy’s scheduled pick (hmm, did Arena want him?). By the way, UCLA saw a trio of players picked up by MLS teams in this year’s draft including defender and captain Joe Sofia, a second round pick by San Jose, and Spanish native Victor Munoz, drafted by D.C. United in the second round. That makes 64 picks in the 19-year history of the draft for the Bruins, far and away the most of any school in the nation. 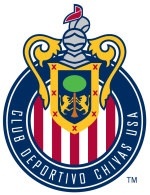 Chivas USA also hold the the 40th and 59th picks in the third and fourth rounds of the draft set for Tuesday, while the Galaxy hold the 72nd overall pick.